Villas on the Green is located between US 1 and Carlin Park at 717 S US Highway 1. Several of the condos overlook the fitness trail of Carlin Park and the community has a walkway through the park to the beach. The 2bd/2 ba condos are 4 units per building section. They also have some 3 bedroom townhomes with a fenced courtyard. Close to shopping, beach and just about everything you will need. Search for condos at Villas on the green. You will love the community pool and tennis courts. 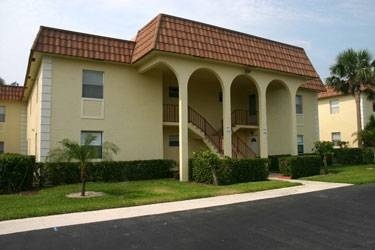 It is a short walk to many of Jupiter's best restaurants and attractions. Villas on the Green has 116 condos in 9 buildings plus townhouses. The most popular condos are the units facing Carlin Park which give wonderful ocean breezes and a wide open park view which makes for great entertaining. The community restrictions include no pets, trucks and only two cars per unit are allowed. They have uncovered assigned parking spaces. A 3 month minimum lease twice per year is allowed. Located between Sea Brook and Ocean Cove which all line Carlin Park you will love the proximity to the beaches. The area is just across from Jupiter Riverwalk and restaurants plus shopping. The new Fresh Market just opened down the road and is a gourmet shopping experience. Living here along the beach in Jupiter offers you so much for the active lifestyle you are looking here in Florida. Not only is it a great place to live full time but owning a vacation home can be just as rewarding. Many potential buyers purchase condos as rent them for season until they are ready to retire and this pays the majority of the taxes and condo fees. It protects you against rising prices and builds equity while you are renting it out for season. Let me help you purchase and rent a Jupiter beach condo and build equity as well. You may want to look at Singer Island condos which offer oceanfront living or maybe some Jupiter Golf homes for the best of both worlds. Head South for Boca Raton or Delray Beach condos if you want more of a city life. If a Villas on the Green Condo listing has caught your eye or you want more information about Jupiter, FL condos, please don't hesitate to call 1-561-744-7025, or email via our handy contact form with any questions or to arrange a showing.